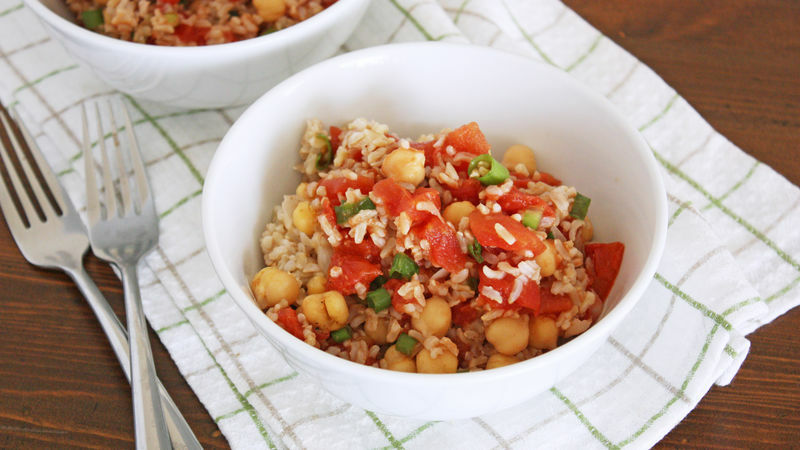 When rice is fully cooked and all the water is absorbed, add chickpeas, diced tomatoes, green onions, cumin and salt and pepper to taste and stir to combine. 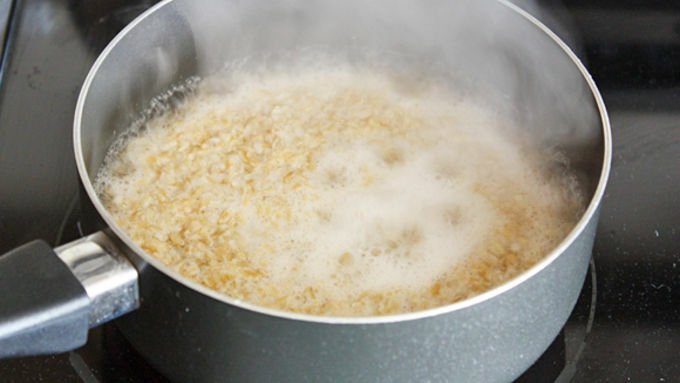 Cook all ingredients in pan until warmed through. Serve immediately. Oh hey, remember your January New Year's resolutions? Remember how we’re all, “Yeah, let’s exercise every day!” and “Yeah, let’s eat kale salad and drink water every day!” and then we suddenly realize that all of that gets real old real quick and our legs hurt and we can’t even look at kale without initiating our gag reflexes and we start staring at our water wishing it would just turn into wine, already? Yeah, I know the feeling. This year, I plan to stay fit and healthy and all that jazz and a bag o’ tater chips (in moderation, of course), but I don’t plan to deprive myself of tasty meals just to reach my goals. That’s when recipes like this one for Chickpea-Cumin Rice Bowls come in handy. It’s yummy, it’s stupidly easy to make, it’s meatless – heck, it’s vegan – and it’s healthy. Win win win… win. You can use instant or regular rice for this dish – regular rice tastes better, but it also takes longer to make, so the choice is yours (I used instant for this round because I’m lazy like that). 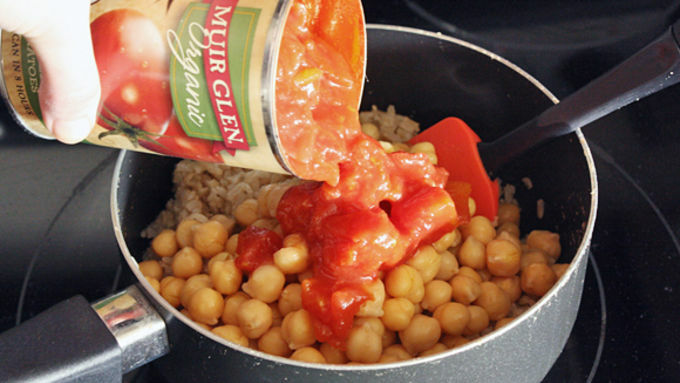 You can also use original Muir Glen diced tomatoes or their fire-roasted variety, which is delicious times a thousand. So much yummy in the tummy, that’s what this is. And all that jazz and a bag o’ tater chips. We've got plenty of delicious vegan-friendly recipes to help you eat your best through the entire year.